But the FDA said there just isn’t enough information yet. “Interviews of ill people haven’t identified a likely source for the US illnesses. At this time, we are still investigating, and when we have information that consumers can use – such as any foods to avoid – we will share it immediately,” the FDA said in a statement issued late Thursday. The United Fresh Produce Association said it’s not clear that throwing out romaine lettuce would do any good. 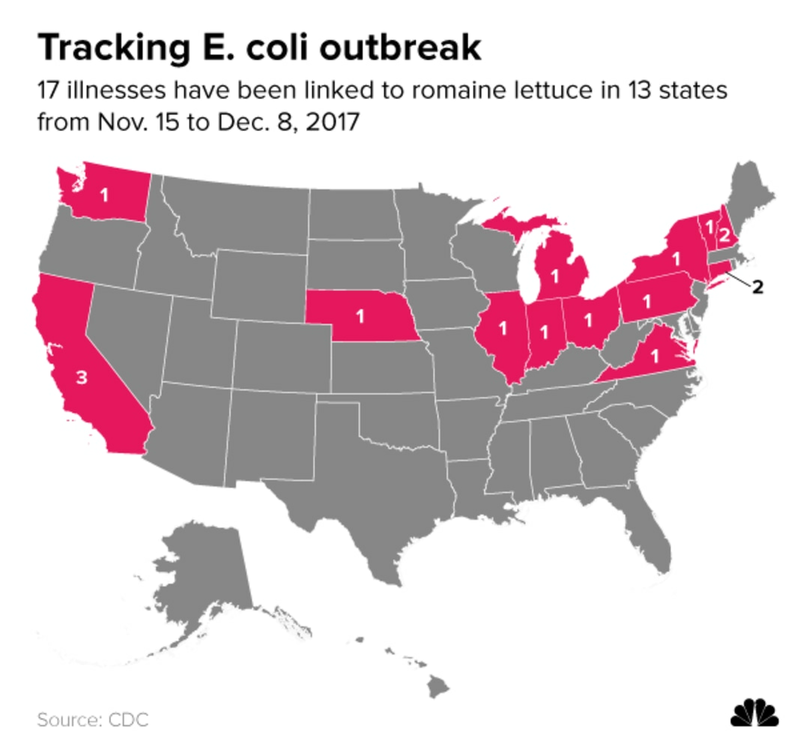 “Even if this outbreak is actually confirmed to be caused by romaine lettuce, it’s important to recognize this is a highly perishable product with a limited usable shelf life and it’s highly unlikely a specific affected lot would still be available for sale or in a home refrigerator with the last U.S. illness being reported on December 8 and the last Canadian illness reported December 12,” it said in a joint statement with the Produce Marketing Association and other groups. E. coli bacteria are just about everywhere and they are normally harmless residents of the digestive tract. But there are a few forms that can cause diseases. The CDC estimates that about one in six Americans are made sick by foodborne illnesses every year — that’s about 48 million people. About 3,000 die.